Marvin Sterry, 100, of Southington, died peacefully at the Southington Care Center on Dec. 9, 2010. He was the beloved husband for 68 years of Ruth (Ludecke) Sterry. He was born in Middlebury and had graduated from Northeastern University in 1932. During his professional career he worked as a mechanical engineer at Chase Brass, Peck Stow & Wilcox, where he met his wife. He also worked at Stanley Tools, General Electric and Kaman Aircraft. He worked for the Town of Southington in the 1970s in engineering for the new library, fire station No. 5, Bradley Hospital addition and various other public works. He was a lifelong boater, gardener and avid reader. 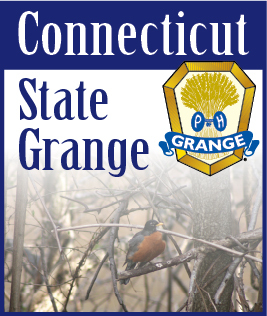 He was a member of the Southington Grange. During his retirement years he volunteered at Bradley Barnes Museum repairing clocks and re-matting art works, and also at the Southington Public Library where for many years he regularly checked the mechanical systems. In addition to his wife, he is survived by three daughters and sons-in-law, Barbara and Wally MacDonough, of East Hartford, Carole and Robert Herbin, of Ossining, N.Y., and Valerie and Edward Andrukiewicz, of Plainville; five loving grandchildren; and two great-grandchildren. There are no calling hours and burial was in Bethlehem at the convenience of the family.